Bath Organizers keep your toiletries together. Get your Bath Organizers here today. 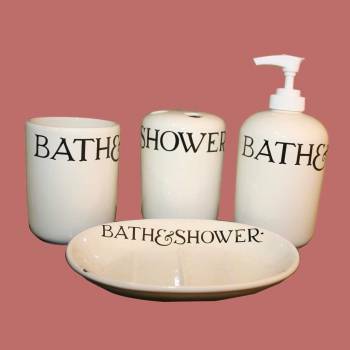 Bathroom Accessories: This ceramic collection comes is cream colored with black wording. Includes a tumbler 4 in. H, a lotion dispenser 5 3/4 in. H, a toothbrush holder 4 1/4 in. H that holds 4 toothbrushes and a soap dish 1 1/2 in. H x 5 1/2 in. W x 3 7/8 in. proj. Unique piece and a perfect collection for the vintage style lovers. The set of ceramic bath organizers brought to you by Rensup makes a brilliant addition to any bathroom decor. Go ahead and escape into the world of your style -- into a lavish yet classic look bathroom with these exclusive selection of products. 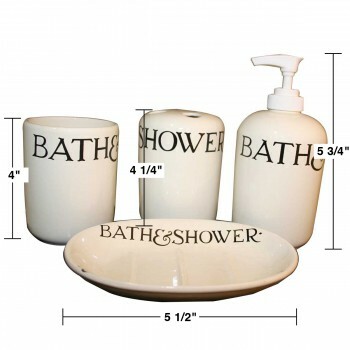 Grab it all and let your lavatory be adorned with the wonderful ceramic bathroom organizer set. 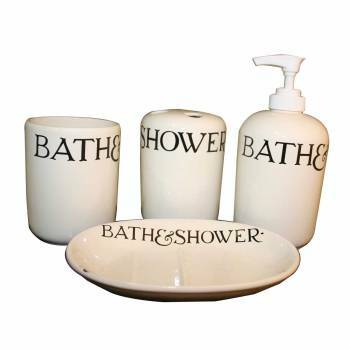 This hard-to-find ceramic set comes in a cream colored with black monogramming. Tumbler, toothbrush holder, towel bars and hooks are often the most significant basic elements of a bathroom. 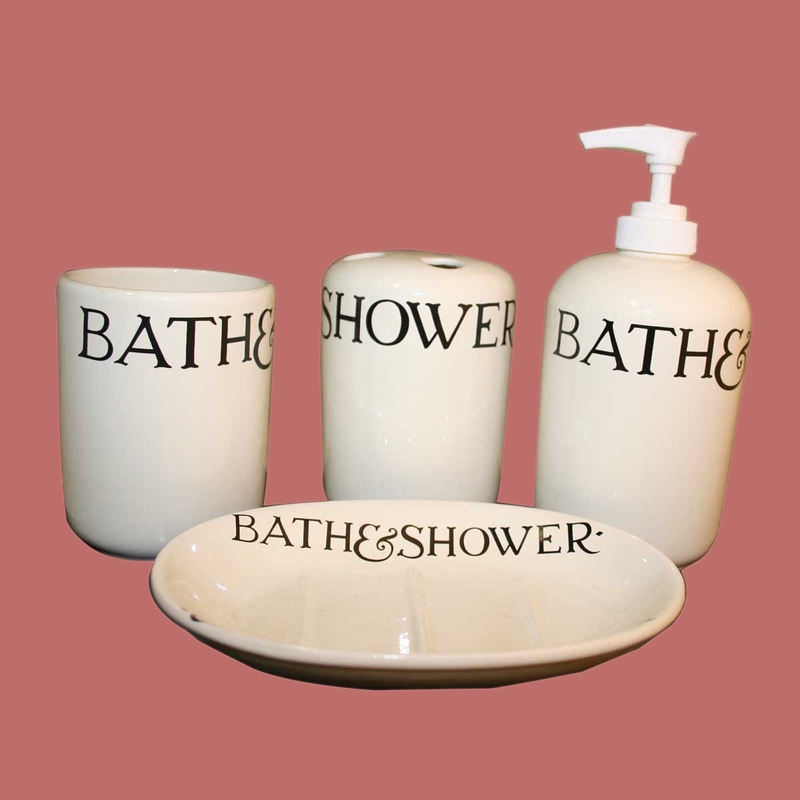 Try adorning your lavatory with the products that coordinate your bathroom style. To help you make a unique style statement to your lavatory, we have brought to you a unique set of bathroom essentials. 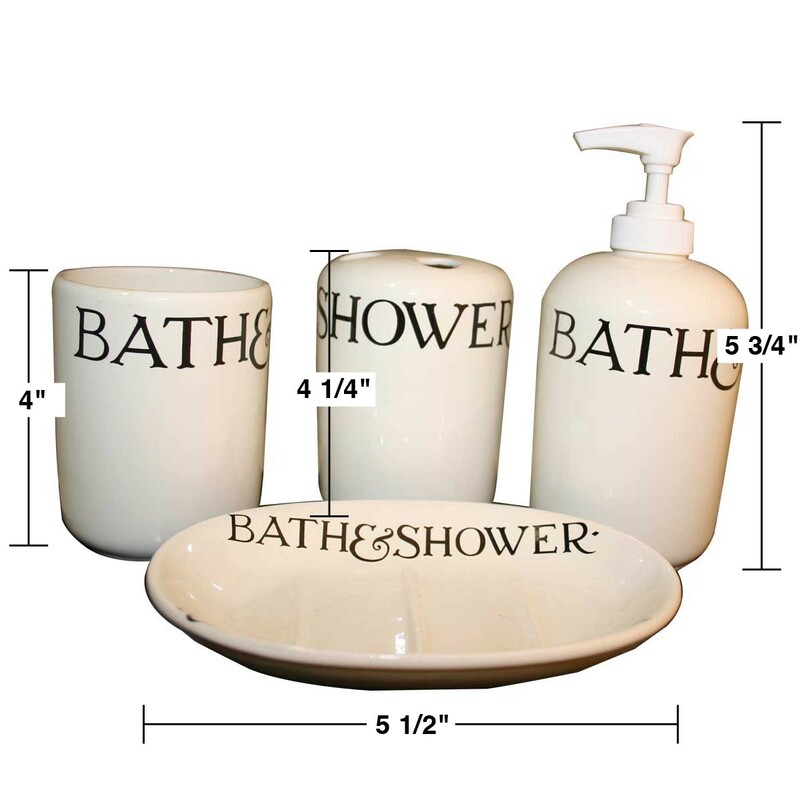 Display them together as they reflect antique style and be as a brilliant option to showcase your symmetrical arrangement of bath essentials. Get the efficiency of well-organized arrangement by lining-up all your tools and products stored in one place off our bathroom counter.